'Tis the season of surprises and none is as good as this one. 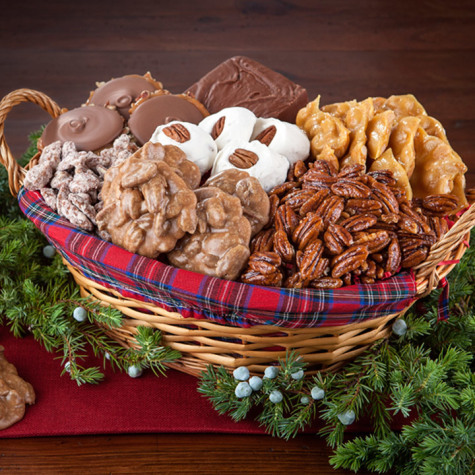 Lined in Jennifer's favorite tartan plaid fabric, this festive basket gathers up an old fashioned assortment of hand-stretched Peanut Brittle, handmade World Famous Pralines, heavenly Divinity, Milk Chocolate Bear Claws, Cinnamon Pecans, creamy Chocolate Fudge and crunchy Glazed Pecans. 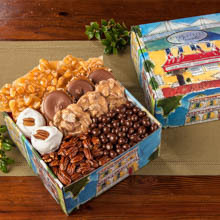 This is the perfect gift to send from the Low Country! 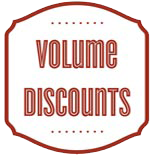 Fast shipping at a reasonable price. Thank you! The sweets were enjoyed! Needed a last minute Christmas gift for a dear friend. It arrived in just two days and she simply loved everything about it. Will definitely be ordering from Riverstreet again. I didn't feel the money spent on this purchase was worth the product amount delivered. 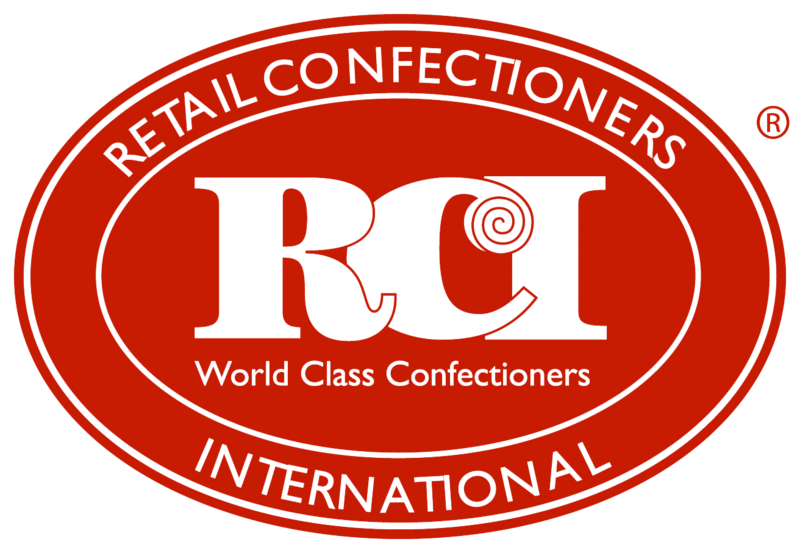 My client was floored at the presentation and taste! 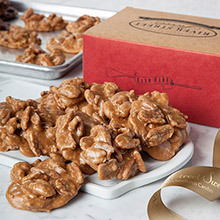 I sent the order to an Office of people as a Christmas gift, so can not comments on the quality of the items, other than that we always enjoy them when we are able to get to Savannah. The quickness of the delivery from the time I ordered it was exceptional. Thank you. According to the recipient everything in the basket was delicious. 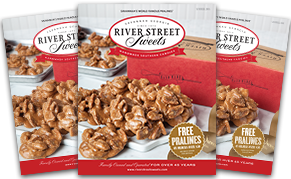 They shared with friends who are now fans of Riverstreet Sweets.